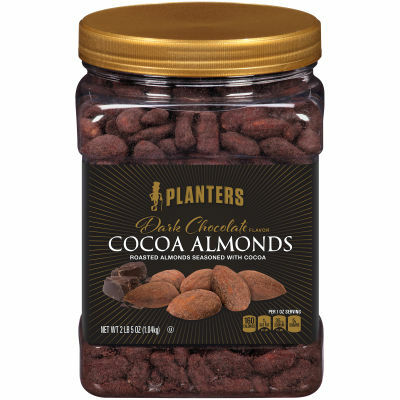 Planters Cocoa Almonds bring you intense and unexpected flavor. Toasty almonds and rich cocoa powder work together to create a delicious burst of flavor in every bite. Welcome to a whole new era of chocolate covered almonds! - There are no artificial flavors in the dark chocolate cocoa dusting on these roasted almonds, which are available in a large 37 oz. jar that is resealable to prevent spills and keep almonds fresh. Serving size 1oz (28g/ about 24 pieces).